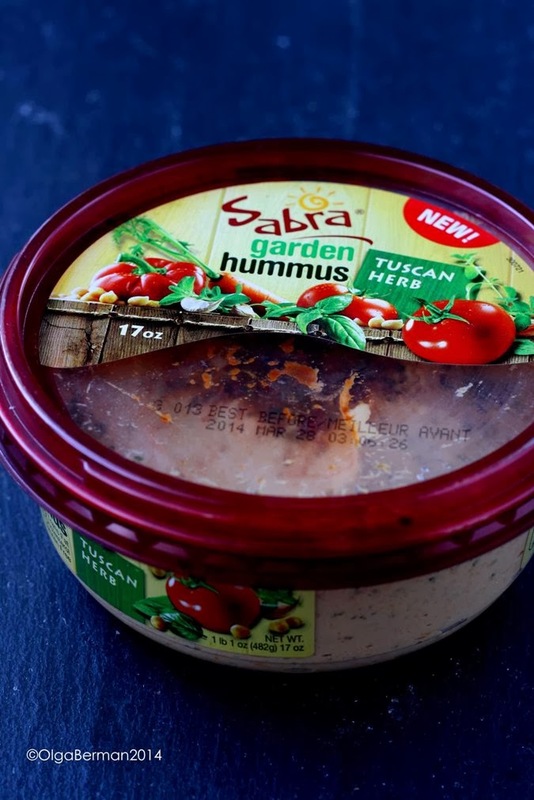 When Sabra sent me a box filled with a variety of their hummus flavors, I was inspired by the Tuscan Herb Garden flavor to create Tuscan Herb Garden Sabra Hummus & Roasted Vegetables Flatbread. Sorry for the short intro: I broke my right arm and typing with the left one is super slow. The good news is that I developed this recipe and photographed it before the break!! 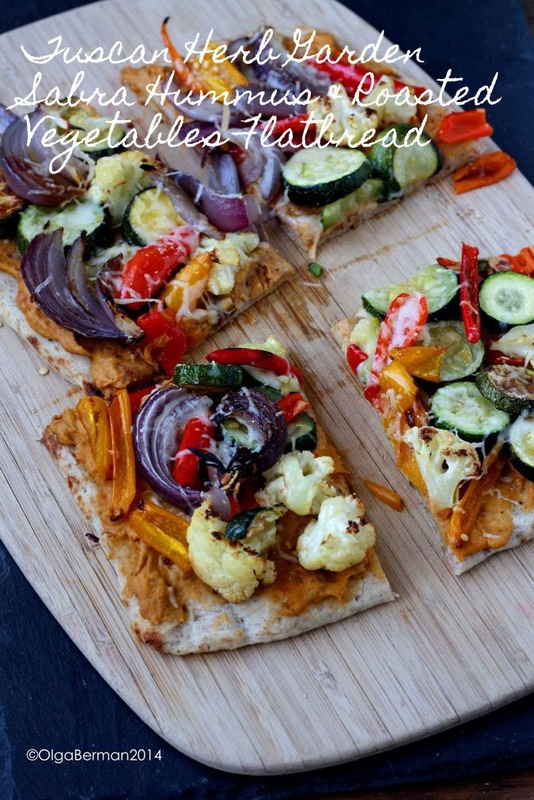 Make this recipe soon for your family! 2. In a bowl, drizzle the vegetables with olive oil and season with salt. Mix to combine. 3. 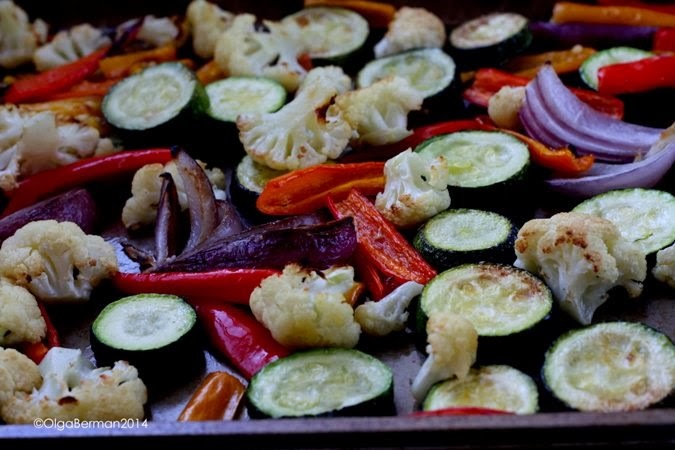 Roast the vegetables on a cookie sheet in a single layer for 30 minutes, turning them at least once. 4. 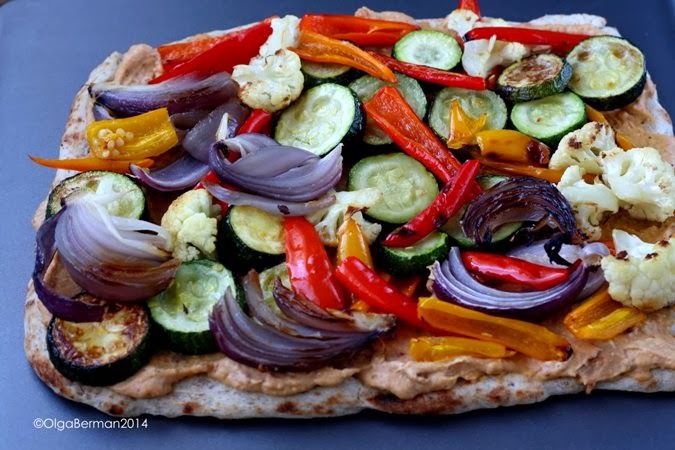 5 minutes before the vegetables are ready, put the flatbread into the oven. 5. 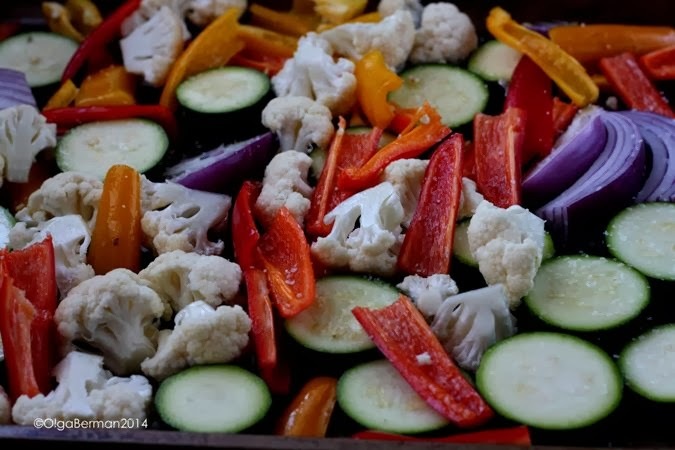 Once the vegetables are roasted, take them out of the oven. 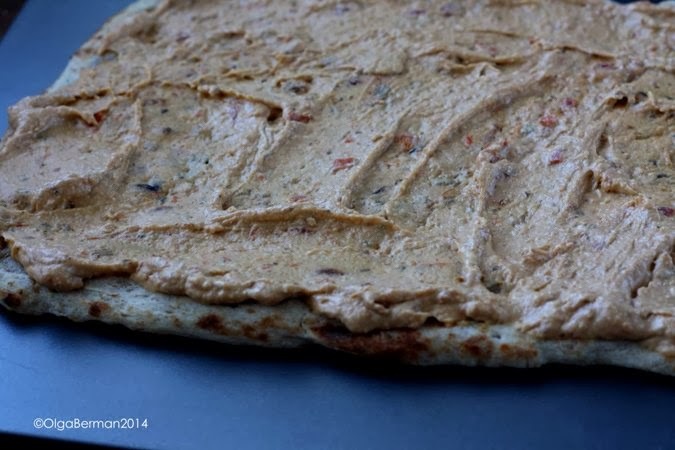 Also remove the flatbread. 6. 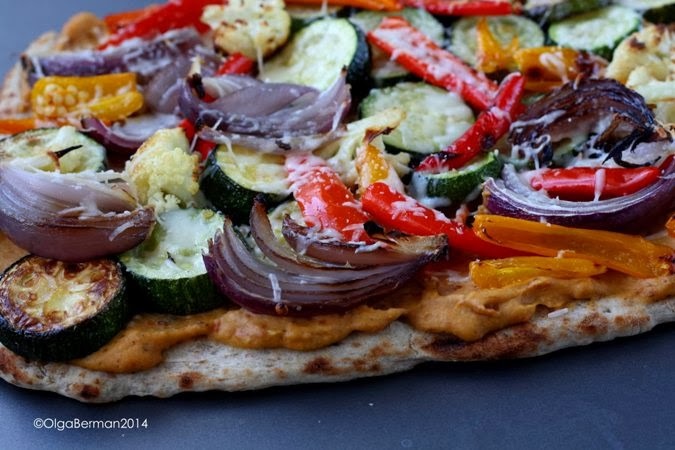 Spread the flatbread with hummus, top with roasted vegetables and cheese and put back into the oven for 5 more minutes, just to melt the cheese. 7. 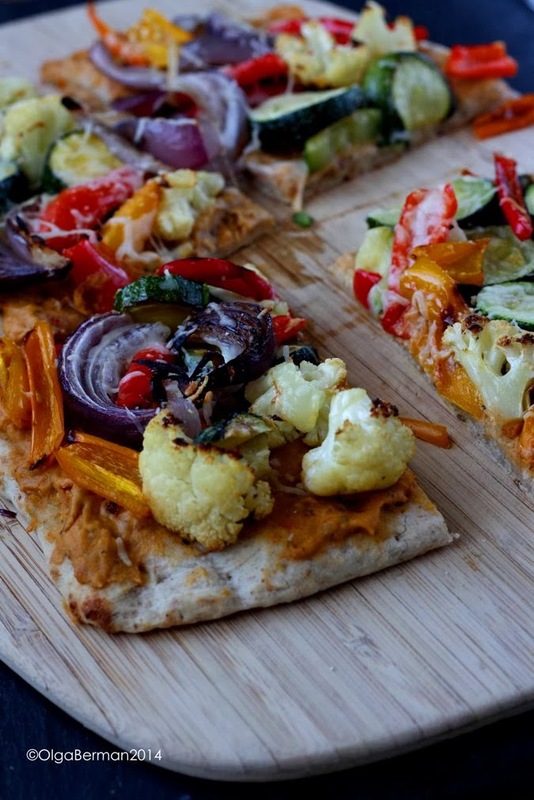 Slice the flatbread and serve immediately. 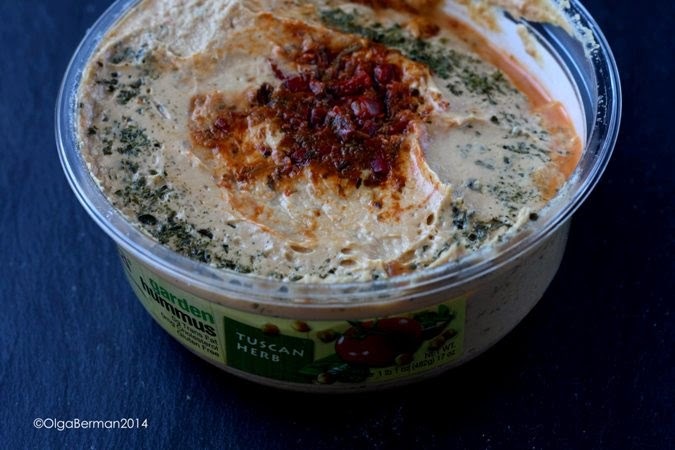 For more information on Sabra products Like Sabra on Facebook. this looks soooooooooo gooooooooooood. roasted vegetables are like crack to me. yum. hope you heal soon lady! Wishing you a speedy recovery. 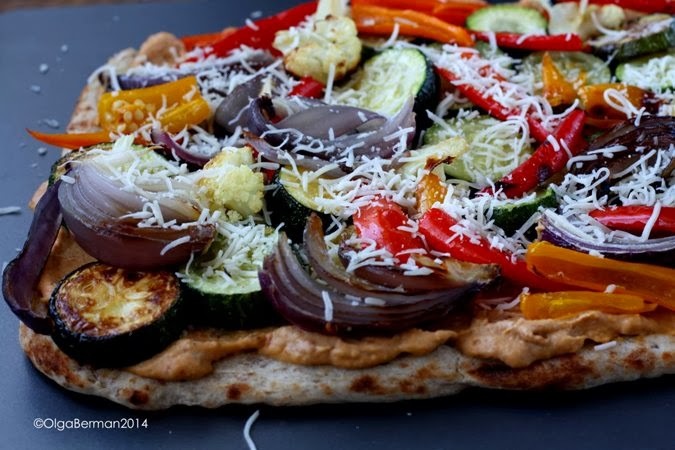 And lots more of this flatbread. Man, it looks so good! Oh no! I hope you recover quickly! Deliciousness.